Tamu Massif, located about 1000 miles east of Japan, is the largest known single volcano on Earth, but the process that created it remains a mystery. With an area equivalent to Japan or California, the undersea volcanic mountain – a part of the western Pacific Shatsky Rise oceanic plateau – is believed to have formed during the late Jurassic period. Exactly how it formed in the age when dinosaurs still ruled is unknown, but the goal on this 32-day expedition aboard Falkor was to find information that would help scientists reveal its origins. 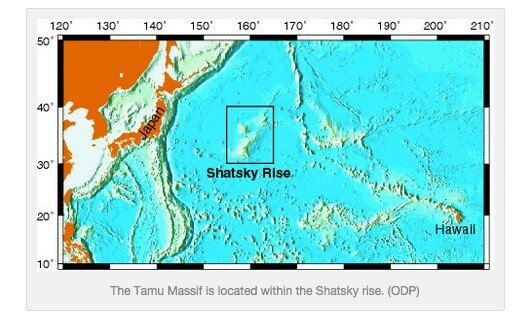 Principal Investigator William Sager from the University of Houston Department of Earth and Atmospheric Sciences, and Geophysicist Masao Nakanishi from Chiba University, along with their science team, transited over the western Pacific Ocean to Shatsky Rise, an undersea oceanic plateau where Tamu Massif is located. 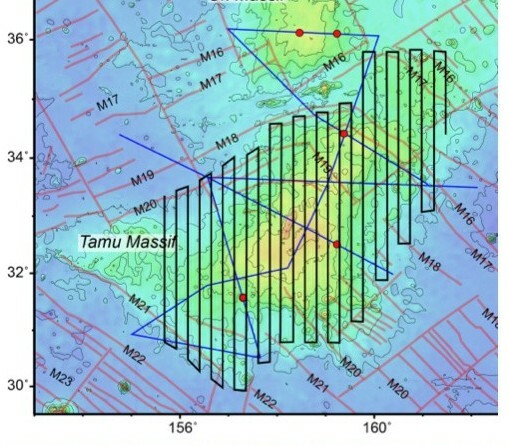 As one of the few oceanic plateau volcanoes formed during a time of geomagnetic reversals, Tamu Massif holds a unique record of undersea geographic formation: magnetic anomalies in the oceanic crust. This makes it easier to understand the underwater volcano’s history and the key interactions it has with the mid-ocean ridges. To appreciate geomagnetic reversals, one needs to know some aspects of Earth’s magnetic field. Our planet has a magnetic field with North and South Poles, just like a bar magnet. Geophysicists reason that the Earth’s magnetic field is created by the motion of the fluid iron outer core, which creates electric currents that in turn produce the magnetic field. At certain times in the past, core flow changed, causing the poles to flip – what was once the North Pole is now the South, and vice versa. Lava becomes magnetized as it solidifies to rock on the ocean floor, creating a record of the magnetic pole direction at the time. The magnetic lava rock perturbs the Earth’s magnetic field, causing a negative or positive “magnetic anomaly” depending on whether it adds to or subtracts from the Earth’s field. 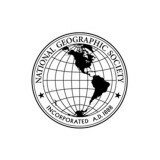 In the ocean basins, the mid-ocean spreading ridges, divergent plate boundaries where oceanic crust is formed, record linear magnetic anomalies that parallel the spreading ridge crest. Correlating the magnetic reversal pattern to time, scientists have used these magnetic anomalies to determine the age of the oceanic crust and the pattern of its development. Because Tamu Massif formed during a time of geomagnetic reversals, its lava flows also preserved magnetic anomalies that can be interpreted by scientists to show the construction of the volcano. Using multibeam sonar systems and a marine magnetometer, the science team and Falkor crew collected seafloor and magnetic data in October and November of last year, to build a well-constrained magnetic anomaly map. This map allowed for a better understanding of both Tamu Massif formation and its internal structure. 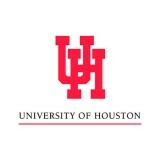 While it was not possible to completely cover all of Tamu Massif with multibeam sonar bathymetry data, new underwater depth information collected on the cruise substantially improved the knowledge of Tamu Massif topography and structure, all of which help in understanding the monster volcano hidden beneath the sea. Shatsky Rise is one of the largest oceanic plateaus and is believed to have formed at the triple junction of three tectonic plates: the Pacific, the Farallon, and the Izanagi. Like most oceanic plateaus, it is a huge volcanic mountain range consisting mainly of basalt rock covered with a generally thin veneer of sediments. How such a massive volcano as Tamu Massif formed in this area is unknown. Did it erupt as a huge boil on top of the mid-ocean ridges? Did it disrupt and reorganize the seafloor, spreading the ground wide at the triple junction? The answer to these fundamental questions help scientists understand how oceanic plateaus form and how such volcanic eruptions interact with mid-ocean ridges and their underlying magma convection system. There are two main, competing models that are debated about Tamu Massif’s formation. The “plume head” hypothesis proposes that hot mantle under the ocean floor, begins to rise, forming a growing column of slowly flowing material. When this “plume head” reaches the base of the outermost shell of the Earth, it bursts through, causing a massive eruption and intrusion of igneous material, as well as forming large oceanic plateaus (if undersea, as the case would be here). This model gained acceptance mainly because geochronology data from several other geographic features appear consistent with short-lived and massive outpourings of lava. This hypothesis excites Earth scientists because it implies periods of massive flux of mantle material to the surface. Moreover, such massive eruptions also imply the release of large quantities of heat and gasses, which could have far-ranging environmental effects. 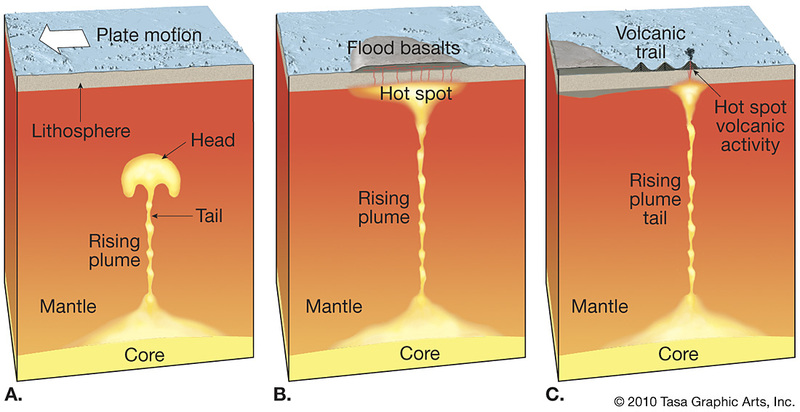 An alternative idea – the “fertile mantle” hypothesis – suggests eruptions occur because plate boundaries and cracks are releasing pressure above areas of upper mantle with lower melting temperatures. This hypothesis implies that the source of plateau magma is shallow, and that the massive vertical mantle movement of the “plume head” hypothesis does not occur. Simply, a “plume head” creates a large volcano in a huge, short, gushing eruption. At a much slower pace, and a “fertile mantle” fosters extended surges of molten core, releasing stress at plate boundaries and forming a series of merging volcanoes over a longer period of time. Oceanic plateau structure is key to figuring out whether this dichotomy is true, but plateau structure is poorly understood because these features are so large in size, as well as hidden and inaccessible beneath the sea. Today, earth scientists still debate which of these two mechanisms provide a better explanation for large areas of volcanic rocks, known as igneous provinces. Many oceanic plateaus contain significant complexities – unexpected ingredients or evidence – that do not lend themselves to clear origin certainty. Depending on whom you talk to, the “plume head” model either needs amendments or should be dismissed. As is often the case in science, neither hypothesis may be entirely correct, but these two concepts provide a framework for debate that will ultimately help geoscientists understand this important flux of material to the Earth’s surface. The linear magnetic anomalies in the mid-ocean ridges are key to understanding how Tamu Massif formed. One side (north) of Tamu Massif seems to have magnetic lineations, but the other (south) seems to have a broad, coherent anomaly caused by the whole volcano. On this side, massive lava flows have been cored and imaged by acoustic profiling. Magnetic lineations imply well-behaved, limited magmatic eruptions whereas the coherent anomaly implies a massive eruption. 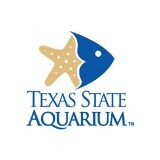 Thus, it appears that Tamu Massif may have a Jekyll and Hyde personality. To date, the magnetic data has been collected sparsely, and the science team hopes this cruise filled the existing gaps with precise mapping of undersea geography and magnetic charting. The goal was to combine the newly collected data with existing data to construct both magnetic and bathymetric contour maps of Tamu Massif. Perhaps a revelation from tiny magnetically charged particles can explain the creation of one of Earth’s largest physical features. Tamu Massif is located within the Shatsky rise. 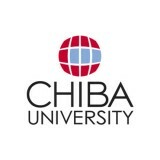 Cruise survey plan. Heavy lines show proposed cruise tracks. Ingress and egress transit tracks are not shown. Model of hotspot volcanism. A. Rising mantle plume. B. Outpourings of basalt generate the oceanic plateau. C. Less voluminous activity produces a volcanic chain. 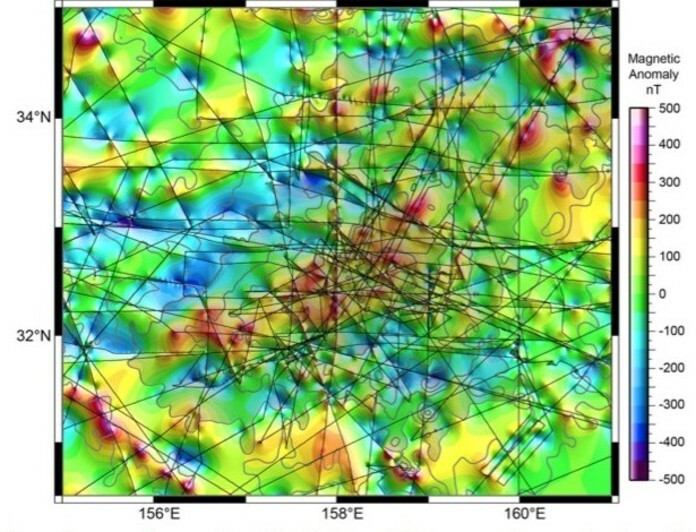 Magnetic anomalies over Tamu Massif. Colors indicate magnetic anomaly values. Thin lines are ship tracks. Gray contours show bathymetry at 500-m intervals and gray shaded levels show Tamu Massif higher than 4500 m and 3000 m (slightly darker). Processed Acoustic Backscatter and Swath Bathymetry, Magnetometer, and Navigation data are made available through the Marine Geoscience Data System.